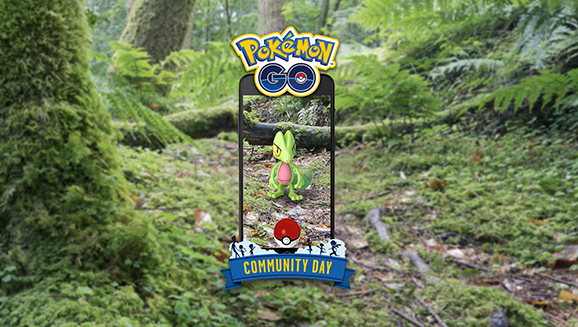 The Grass-type Treecko will be the star of this weekend's Community Day, and this is one event you won't want to miss out on! This month, Community Day will occur on Saturday, March 23, 2019, from 3:00 p.m. to 6:00 p.m. in your local time zone. Not only will you have the opportunity to catch plenty of Treecko during that three-hour span, but if you evolve Grovyle (the evolved form of Treecko) into Sceptile during or up to one hour after the event, your Sceptile will know the special move Frenzy Plant. This move will be available only to Sceptile evolved during Community Day. Additionally, Incubators will be four times as effective, hatching Eggs placed in them during the event four times faster. Good luck and have fun on Treecko Community Day!